Welcome to Massachusetts Christmas Trees! A "Real Tree" experience awaits you at one of our many Choose and Cut Farms. Our goal is to provide quality "Real" trees to consumers and to the local wholesale market. Our farms provide an exciting outdoor adventure for you, your family and friends, creating a Christmas tradition and memory that will last forever! 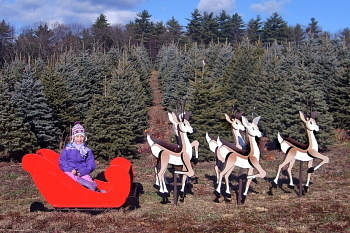 Read "Cut & Choose Your Own Adventure"
The Massachusetts Christmas Tree Association members include Choose & Cut tree farms, retail locations and wholesale tree growers. To find a local tree farm near you, just click "FIND A LOCAL TREE FARM." All the information you need is at your fingertips. To find providers of Massachusetts Christmas Trees for the wholesale market, please click on the "Wholesale" link. Our Association provides members with the knowledge to grow quality Christmas trees for today's marketplace. We offer opportunities for education to both to consumers and members, a grower to grower network, quarterly newsletters and magazines. Our membership is dedicated to promoting the production of high quality, farm grown Christmas trees in the "Real" tree industry. © Copyright 2004-2019 Massachusetts Christmas Tree Association -- All rights reserved.